for the benefit of generations to come. expensive process of being "baked"
to interpret and create with. 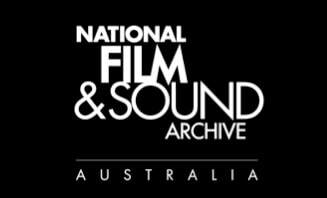 National Film and Sound Archives of Australia"
and sharing what I have with anyone that is interested. who are already protecting my delicate original Master recording tapes. When I depart, my Music will still be released by the person/s I leave it to in my Estate. But the entire Body of Work will live, physically at the NFSA, where it may be presented. ​I want to make more Music, and NEW Music. And when I'm gone, let no-one fight over tenuous claims of ownership. through the trusted guidance of the National Film and Sound Archives. called Soliloquy, on rotation, in the foyer of their Facilities in Canberra. I was humbled. I spoke to the Curator of Music and Sound, Matthew Davies, who wanted to acknowledged that I had some historical and cultural heritage as an Australian musician and recording artist, and asked if I would be interested in assisting them to procure any and all source material that represented my journey in Music in Australia and beyond, to help them in telling the larger story of the underground music element here. I agreed to do what I could. It was established then, that the preservation, restoration and presentation of my collection was to be made a priority, as a heritage artist, and that I should tell the story in my own way. featuring so many of Australia's premier musicians. ​They have had the state of the art equipment, and the expertise and yet, still now, ten years later I am only getting close to trying to finally achieve the critical process of raising the requisite fiduciary support. But now, I have a plan, and some momentum, and a lot more friends than I ever knew I had, I believe it is truly possible. Launching my own website is another aim I have had for over ten years. And along with it, launching To Ride A Dead Pony, featuring rare, remastered recordings representative of my many years and line-ups has been a seemingly never-ending road of obstacles, delays and expense for almost 20 years! But I have always believed there would be a right time to release it. as a collective, thanks to social media. It seems that now is the right time for all of these things to happen, at once. that this is possibly the best time ever to self-publish. including, by expressing a love for any kind of art, music or passion. and sensitive to my way of creating. after some years in the Digital wilderness. I feel that this website will be met with joy, excitement, nostalgia, and sentiment for new, and of course, long-time, loyal fans of my music, and I expect some dialogue, as I do my best to introduce other elements, to tell the whole story and move things up a notch by linking in other writers, commentators, presenters, musicians and artists. I have been very fortunate to have come to know many wonderfully passionate people in radio, TV and the press, who have so much to offer, that would give greater context and insight, as always to our narrative, that I would love to have on board where possible. There are so many people involved in the celebration of music. There are the musicians and writers, and roadies and, so very importantly, the audience. It's like breathing. It takes inhaling and exhaling to live. ​continue to grow and evolve. ​This is a shared resource and a shared cultural history. to create the rest of the story. and keep playing my part as best as I can. when we pass this on to the Archives."